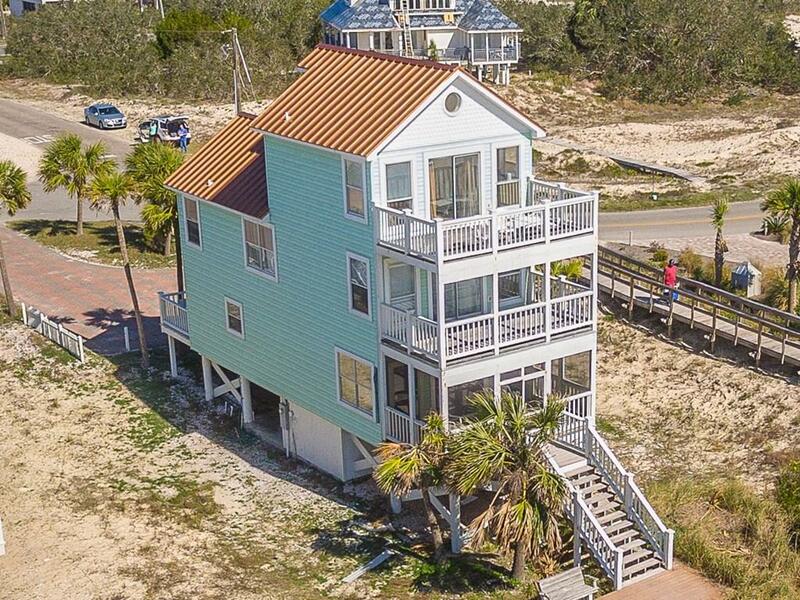 Enjoy a blast from the past with "American Pie, a charming beachfront cottage that's centrally located in the heart of St George Island with easy access to restaurants, shops and bars. Relax in the 1950s diner dcor with fantastic, unobstructed views of white sand beaches and the Gulf of Mexico. 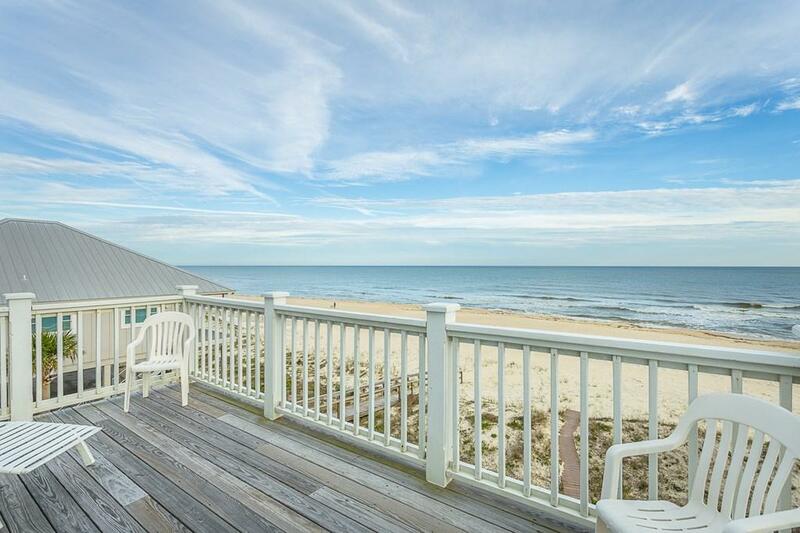 Porches & decks overlooking the beach and the gulf on all three levels. First floor has open floor plan with living-dining-kitchen areas plus screened porch and half bath. Second floor has 2 bedrooms, spacious bath with double vanities, jetted garden tub and separate shower. 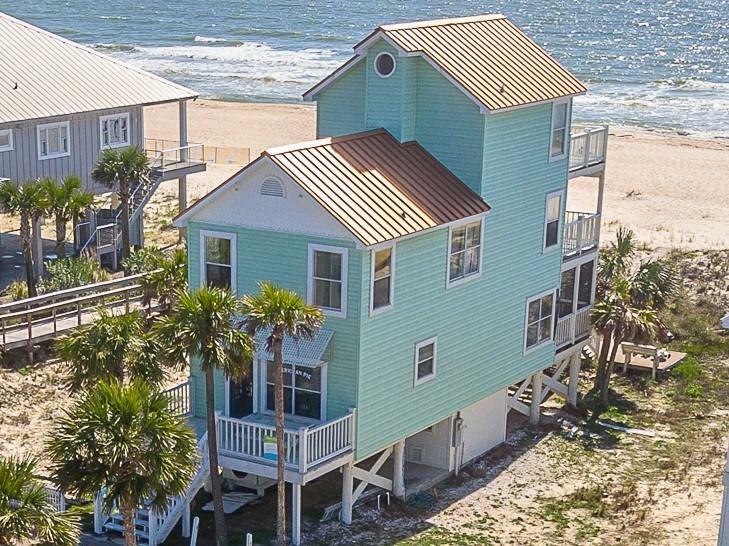 Top floor features the master suite and bath, vaulted ceiling and private sundeck. 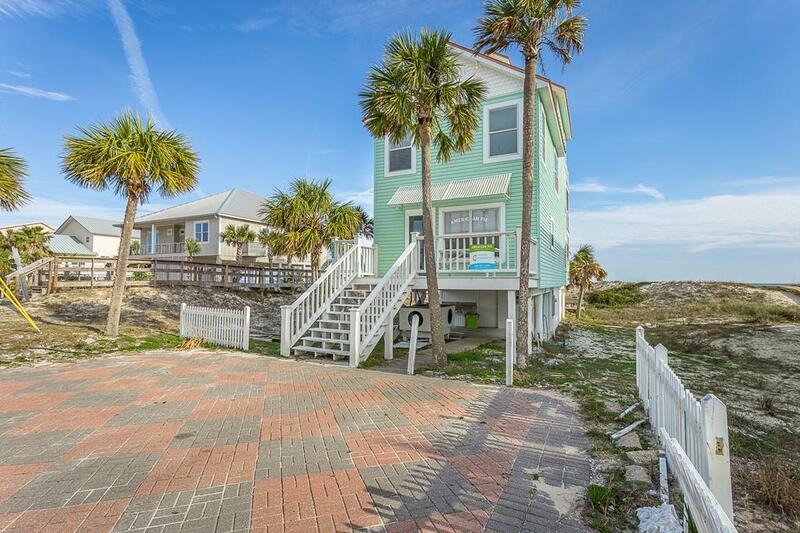 Come see this popular vacation rental that's offered for sale fully furnished.